Successfully Added Truck Train Car Single Trumpet Air Horn 12V Compressor Lorry RV Loud to your Shopping Cart. -- Single Trumpet, made of high grade chrome-plated zinc alloy, durable and with solid structure. -- Supper Loud sound, and much enhance the safety that warn other cars and pedestrians to be careful, making your driving safer. 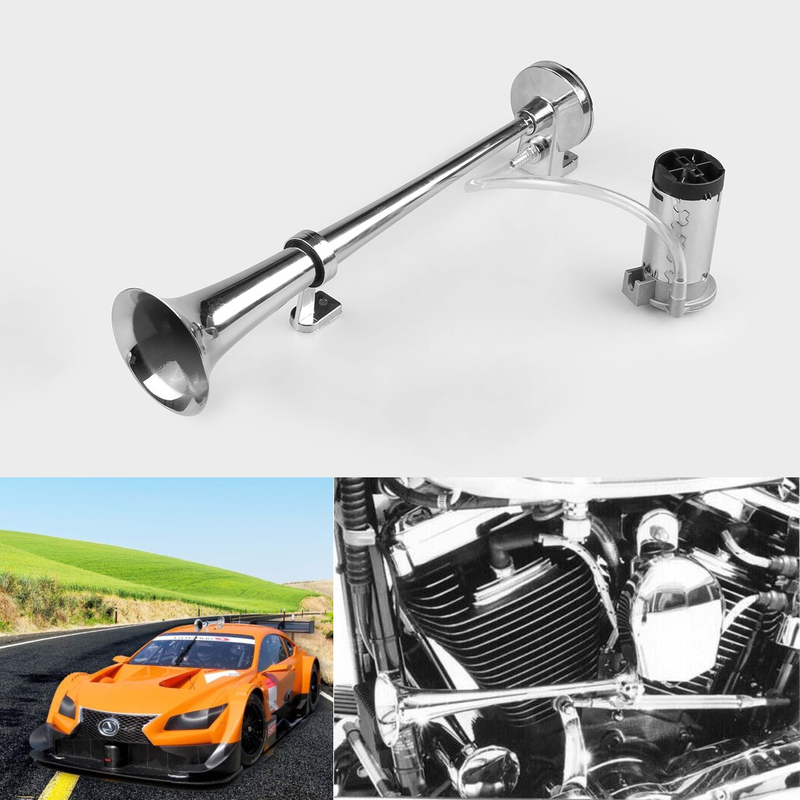 -- Easy to fit, no Air System Requested, glistening chrome finishing and tuned train horn sound. -- Universal, fits for most Truck, Train, Cars.